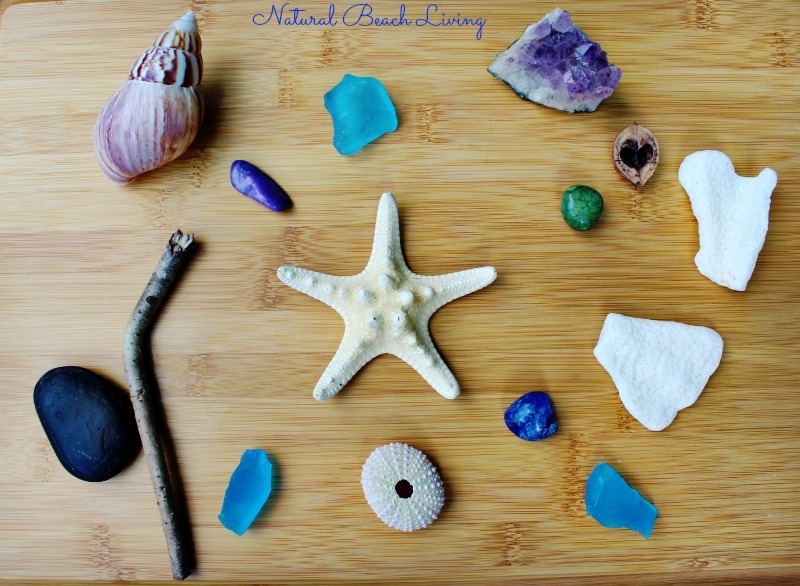 Incorporating nature into your homeschool plan every day is an obtainable goal that many homeschool parents strive for, and do quite easily. With the abundance and beauty of nature all around us at any point in time, it’s not overly challenging to find ways to take your classroom outdoors. Think of how less stressed your school time could be if you were able to spend more time in nature with your children during your learning time. While nature can be quite relaxing on its own, being able to share that time together with your child, while educating on different aspects as well, is exciting! If you want to find ways to incorporate nature into your daily homeschool plan, here are a few fun and simple suggestions on how to get started. Decide on something new to explore together every day. Talk to your child and find out what intrigues them about nature. Do they love birds, dirt, worms, or maybe flowers? Those are all great topics to create a themed lesson around. Is there anything better than being able to be out in nature, while learning about nature? Your child will want to be engaged and active just because they are getting to spend more time outside, but also because they were able to help choose what to learn about for the day. Sonlight has a variety of nature-inspired books throughout the curriculum and Science programs. 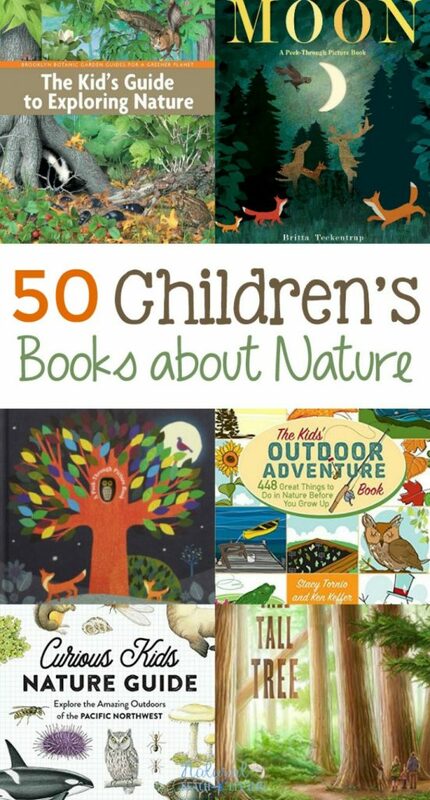 We love to include these books in our nature studies and natural learning. Take a few books with you to the pond, on a picnic or to the beach. It’s so relaxing to read outside and it gives you a nice change from your normal homeschooling routine. Take mini hiking breaks throughout the homeschool day. Not only is hiking a great form of exercise, but it’s also a way to destress and defrag a bit as well. Being surrounded by nature has an immediate calming effect on the mind, body, and soul so why not have a few mini-breaks throughout your homeschool day for quick mental relaxation as well. Create a nature journal with your child and talk about it. One of the best things about nature is it changes every day. Where you sat and what you saw yesterday scurrying around outside will look completely different today. Why not create a nature journal with your children to capture those moments from day-to-day? It teaches your kids to observe, record and also be aware of the differences from one day to the next. And to make it even more fun? Create your nature journal as well! That way, you and your children can document what stands out to you in nature, and then talk about it afterward. The differences that you all will notice and record will surprise you. While your children may focus in on more of the plant side, you may find that your journal is recorded more with colors, sounds and smells of nature. Once you start comparing journals, it’s fantastic and eye-opening about how nature is indeed changing and what stands out to different people. 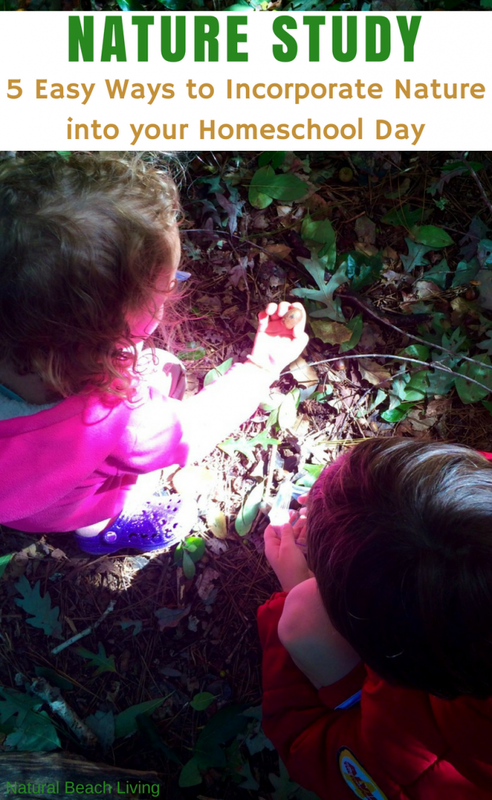 Let your child go on a nature hunt and discover something that they’ve never seen before. While it’s important to not move or disturb items in their natural habitat, take a picture to be able to dig deeper and study what it is. Let your little one research to find out anything that they can about their “mystery” object, and then write down a few facts based on what they’ve learned. It’s a great way to work with your children on beginning research skills and observational skills. 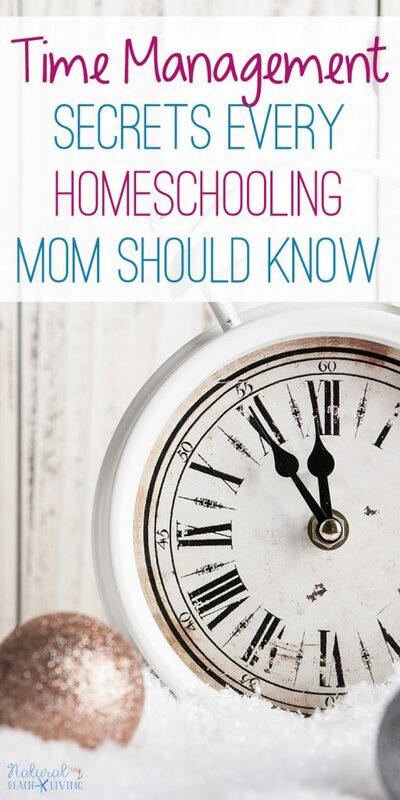 Plus, if you’ve got some extra time during your homeschool day? 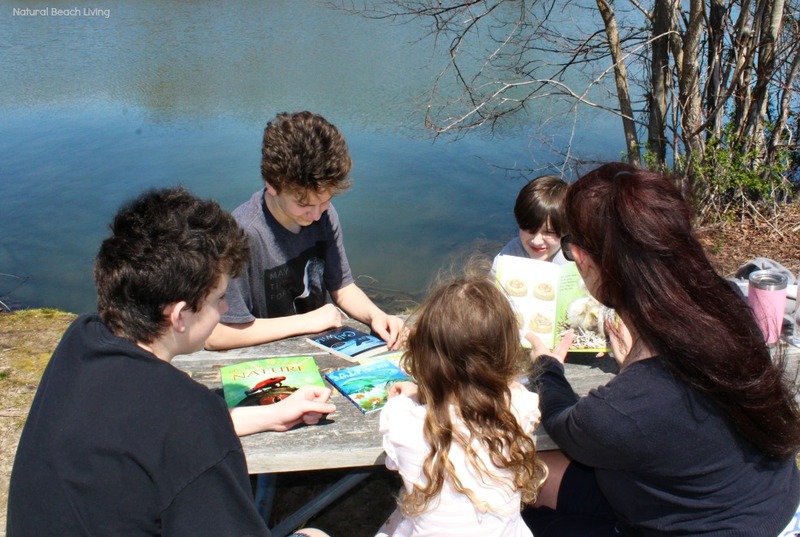 Pull out a few more books or head to the local library to find a few other resources available so your child can dive more in-depth on their nature find. A nature table can be as simple as a small tray filled with nature finds your children bring inside. You can also set up a theme nature table that you switch out monthly or each season. That’s what we like to do. Both ways give your children a variety of natural materials to explore and new things to learn about. 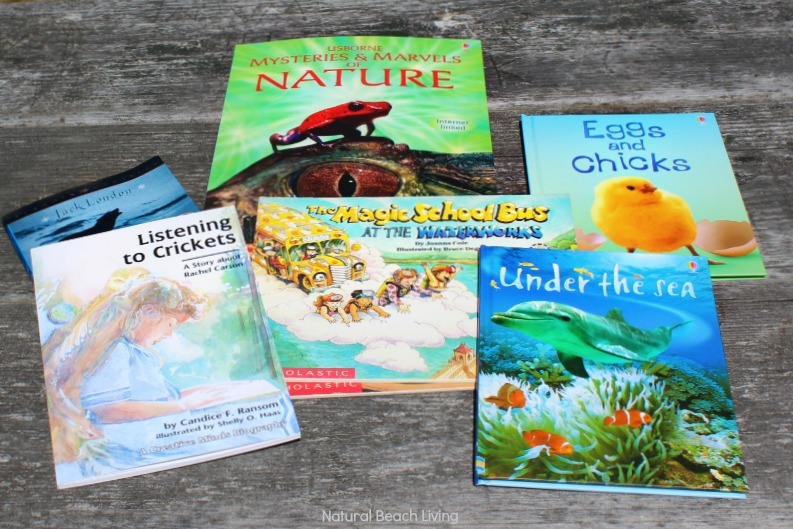 Adding a few Science books to your nature table is also a great way to keep your children reading and researching. Place a basket of nature books at the end of your nature table or stand a couple up for easy access. Finding ways to incorporate nature into your daily homeschool plan is easy, but it does take a bit of planning. The suggestions above are great ideas to start implementing nature into your daily activities and also pair up nicely with some fun, too. Be open to exploring nature with your child and let them take an active role in how they’d like to structure their time outdoors as well. The more that you work together to form a plan that suits both of you well, the more likely that plan is to happen and stick around long-term! I am a Brand Ambassador for Sonlight. It is exciting to share our love for this great homeschool company while sharing our homeschool journey and hopefully, tips that will help your family.